The most important classical music festival in Transylvania, as well as the most long-lived in Romania – Toamna Muzicală Clujeană – The Cluj Musical Autumn, has reached its 47th edition. 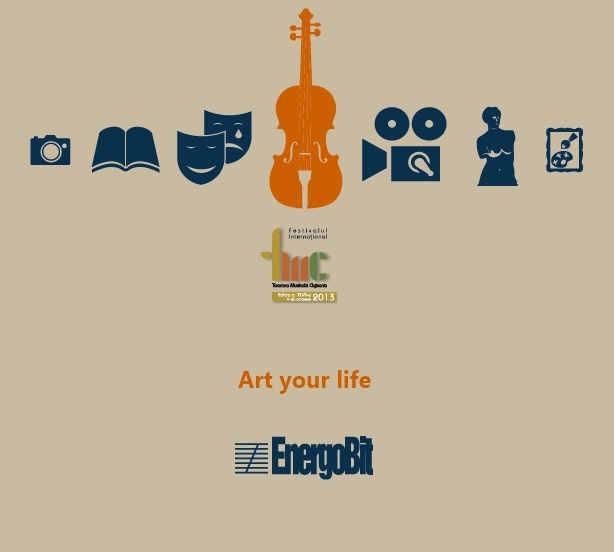 Sponsored by EnergoBit this year as well, the music festival takes place between October 4th and 25th 2013, in Cluj-Napoca and reunites, as tradition calls, renowned artists from all over the world. This year, the festival has been organised into five main sections – Contemporary Panoramic Compositions, Chamber Soirees, Musical Jubilees, Baroque Gems and Symphonic and Vocal-Symphonic Concerts – and enjoys the participation of acclaimed names from the Romanian and international music scene. Music lovers will be delighted by the chamber and solo recitals, as well as the symphonic or vocal-symphonic concerts that will take place in the festival’s many locations: Academy College, “G. Dima” Music Academy, “St. Michael” Church, Diesel Club and the Cluj Art Museum. EnergoBit is a proud patron of the most important classical music festival in Transylvania and wishes to continue this beautiful partnership in the years to come. Find further details on the event and the festival schedule at http://tmc.filacluj.ro/.